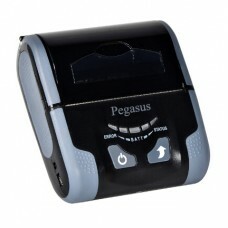 The Pegasus PM8001 mobile printer heralds the introduction of the next generation. Offering dozens of advancements from the inside out, the PM8001 series is designed to be fully backwards compatible, yet easier to use and manage. It's ideal for use by retail and health care organizations. Zebra IMZ 320 , Mobile Printer..
IMZ320 MOBILE PRINTERBuilding on the success of t.. This EPSON TM-P80 high-speed mobile ther..
Intermec PR3 - 3" Portable Rcp.. Fits Your Work Environment for Increased Efficienc..